Graphic Organizers Make Differentiating Simple! 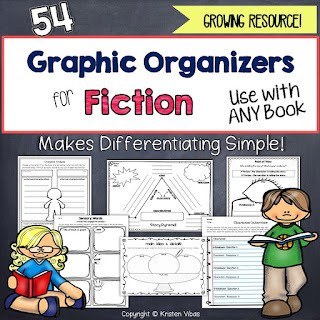 One of the most effective ways to differentiate a classroom activity is by incorporating the use of graphic organizers. No matter the ability level of your students, a simple graphic organizer allows each to "show" their thinking at their own individual level. 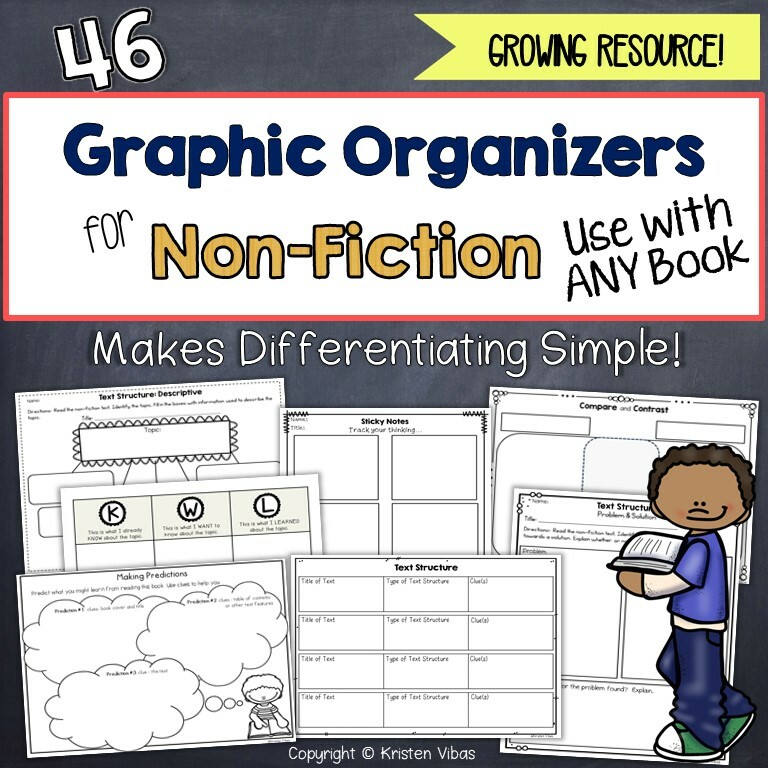 Of course you'll need to differentiate the reading materials used, but the activity (the graphic organizer) can be the same for all. When my English language learners are doing the same activity as their native English speaking classmates, their confidence level grows exponentially. Recently my students were working on "cause and effect relationships found in non-fiction." The reading material used with each group varied greatly in order to meet individual needs, but I used the same graphic organizer for my non-English speakers as I did for my "on grade level" students. I use graphic organizers often with my ELLs because the G.O.s contain minimal language barriers. With modeling and guided practice, they are soon able to independently work at their reading level, "showing" their thinking. I may differentiate even further with my students by having my newcomers (new to English) illustrate and possibly label their thinking, my intermediate students write phrases and simple sentences, and my advanced kiddos use critical thinking skills to expand their thinking with more complex sentences. Here are some graphic organizers that I've created for my students. Here's a FREEBIE to use with any FICTION text! This multi-skill activity can be used over multiple days as a guided reading activity, with cooperative learning groups, or as an independent reading activity. Graphic organizers are excellent tools to use in order to support your ELLs across ALL grades and across ALL content areas. Choose ones that are formatted visually to support understanding and organize information. They also provide excellent opportunities for students to share their thinking orally. Once your students have had the opportunity to show their thinking with the graphic organizers, have them share within a small group. This will help solidify their understanding, as well as practice those oral language skills they need. 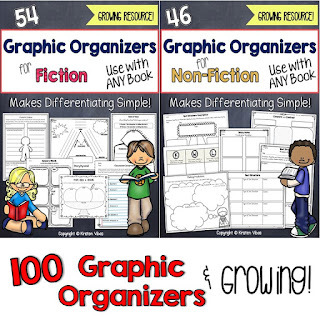 Here are some additional resources for finding great graphic organizers. 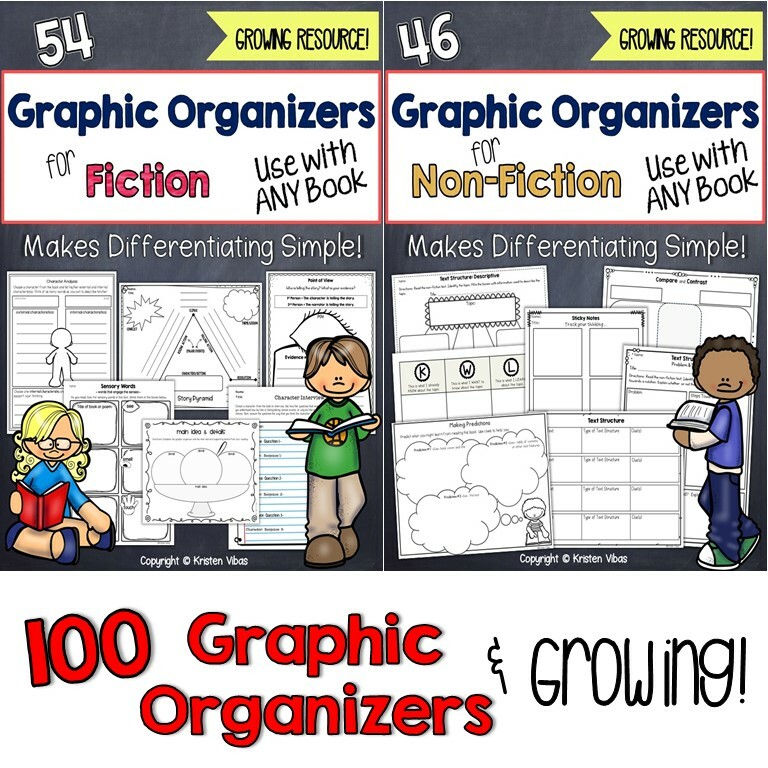 I'd love to hear how you incorporate the use of graphic organizers in your classroom?